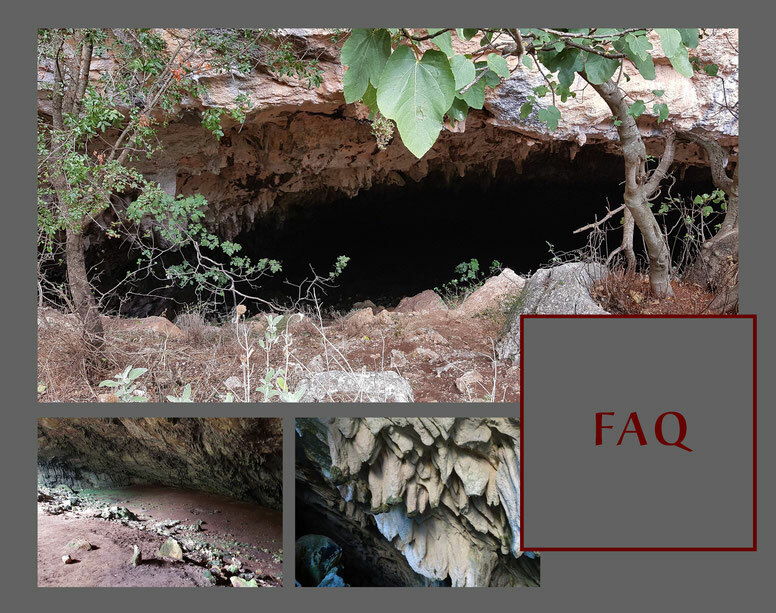 FAQ - Website about caves on the island Corfu. Caving is frequently both physically and psychologically demanding. Caving in Corfu can involve dense vegetation, rock climbing, prussiking, rappelling, duck walking, belly crawling for short distances and squeezing through tight passages. Caving requires that you co-exist with and respect bats, cave crickets, centipedes, spiders, harvestmen and other cave creatures. It frequently involves exposure to heights and it requires endurance. 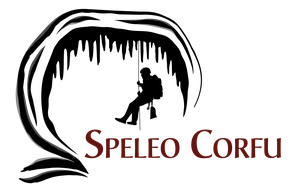 Speleo Corfu recognises that caving, cave diving and mine exploration are activities with a danger of personal injury or death. Participants in these activities should be aware of this and accept the risks and be responsible for their own actions and involvement. Can Speleo Corfu tell me where the caves are exactly located? 1.Without training and caving equipment caving can be dangerous. Small human mistakes can trigger great accidents. You can get lost, injured or killed in caves! 2.People who do not know (or do not care) what they are doing in caves may damage delicate formations or destroy the habitat of endangered and occasionally unique species of both animals and plants. Careless human traffic can destroy significant archeological and paleontological sites in caves as well. 3.It is known that some caves are filled with litter or vandalized with spray paint or by people carving their names on the ceiling or walls. 4.Liability problems. If someone representing himself as a caver asks for a cave location and Speleo Corfu provides the location and that person goes into the cave and gets injured or killed, Speleo Corfu may be sued. If I go in a cave can I break off a stalactite as a souvenir? No, this is strictly forbidden and you may be prosecuted for this! You are not allowed to remove rocks, minerals or living things from a cave. It is not allowed to remove or disturb archaelogical artifacts or fossils, neither to spray paint or carve your name in a cave. It is not allowed to damage a cave in any way. Responsible cavers do not disturb cave formations. They do not even touch them unless is it absolutely unavoidable. They do not drop trash or any kind in a cave. Can I bring my kids to a cave? Caves are fascinating places to visit for children. They can learn about the elements, formations, surrounding, flora and fauna, and much more. In Corfu some (low risk and mainly upper parts of) caves can be visited by children of 12 and older and under direct supervision of an adult only!